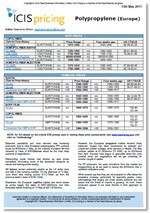 The ICIS Epoxy Resin reports are published in Asia, Europe and the US on a weekly basis. In Asia and the US, the price assessments focus on liquid spot. In Europe and the US, contract prices are for liquid and solid grades. These reliable and unbiased prices are collated by our locally based reporters and the news and analysis about production issues, upstream and downstream movements, plus supporting graphs all go towards making this an essential resource if you are buying or selling in the market. The supply of epoxy resins was largely stable in early Q1 2019, but some producers deliberated the possibility of trimming operating rates if demand remained weak. However, the price trend saw a reversal in February as producers hiked offers to reflect higher feedstock bisphenol A (BPA) and epichlorohydrin (ECH) costs. Nearing the end of Q1 2019, epoxy prices for FOB NEA started to soften again on the back of widening buy-sell gap, and buyers chose to source cheaper cargoes from other regions. Epoxy resins demand in Asia started off soft at the start of Q1 2019 as most downstream users wound down operations ahead of the Lunar New Year holiday in early February. On top of that, buyers were mostly conservative on the back of downward trending feedstocks BPA and ECH values, as well as lingering concerns over the impact of a US-China trade war. Certain producers therefore dropped their offers in a bid to stimulate buying interest. Supply on the European epoxy resins market started 2019 on the lengthy side, outstripping weak demand in January. Both domestic and imported volumes remained widely available. This oversupply caused prices to continue to soften in February, with solid epoxy resins (SER) falling further. Length in the market started to get absorbed in March, although not enough to lift prices, as liquid epoxy resin (LER) contracts saw modest decreases while SER contracts began to stabilise. At the beginning of the year, demand for epoxy resins in Europe was weak, muted by seasonality and lacklustre sentiment on the automotive industry. In February, appetite for material was still subdued leaving prices to fall further. Tepid demand showed stable growth later in the quarter as the market heads towards peak season for the construction and coatings sectors, but was still not enough to match supply and support increases. 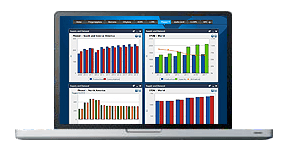 Supply outweighed demand with availability of both domestic and imported material healthy. There were no domestic production issues and the market saw a steady stream of material flowing in from Asia as producers there were keen to export cargoes abroad, where economics were more favourable. As a result, the markets faced soft sentiment as availability of material was ample and consumption was slow amid bearish fundamentals. Demand from the coatings and construction sectors was slow on seasonality, while market players continued to seek competitively priced imports. Domestic prices moved down amid length in the market. Some buyers moved to the sidelines as they monitored a downtrend in prices, along with any headwinds in demand. Epoxy resins have many downstream applications, including coatings, construction and automotive. We offer the following regional Epoxy resins analysis and news coverage to keep you informed of factors and developments affecting prices in the Epoxy resins marketplace. 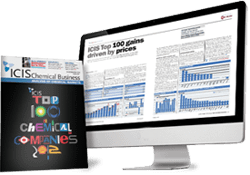 Over 25 years of reporting on key chemicals markets, including Epoxy resins, has brought global recognition of our methodology as being unbiased, authoritative and rigorous in preserving our editorial integrity. Our global network of reporters in Houston, London, Singapore, Shanghai, Guangzhou, Mumbai, Perth and Moscow ensures unrivalled coverage of established and emerging markets. Epoxy resins are high-performance thermosetting resins that are most commonly produced by reaction of epichlorohydrin and bisphenol-A (BPA). They have excellent adhesion, chemical and heat resistance, and very good electrical insulating properties. The main applications for epoxy resins are high-performance coatings, electrical/electronic laminates and adhesives, flooring and paving applications with uses in the automotive, construction and aerospace industries. Coating applications include powder coatings, marine and protective coatings, can and coil coatings, ultra violet (UV) curable coatings and automotive coatings. The construction industry uses epoxy resins because of their excellent adhesion to steel and concrete. In the electronics sector, they can be used to encapsulate electronic components. A growth area is high-performance composites in the aerospace industry.